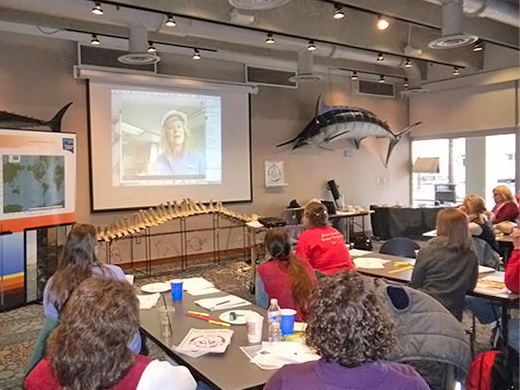 Educators worked with scientists to understand the impacts of the Deepwater Horizon oil spill. While gaining hands-on experience, teachers blogged and Skyped to share their learning and have others virtually join their adventures. Back on shore, teachers created classroom materials. The Center for Integrated Modeling and Analysis of the Gulf Ecosystem (C-IMAGE) research consortium, led by the University of South Florida, hosts a Teacher at Sea Program. C-IMAGE expeditions collect marine data – from sea-surface plankton to deep-sea microbes in sediments – to answer questions about long-term oil spill impacts and understand the Gulf system. This year’s participants were Matt MacGregor (Escambia High School), Mary St. Denis (Winter Haven High School), Elisabeth McCormack (Dunedin Highland Middle School), and Kathryn Bylsma (Dr. John Long Middle School). Their blogs depict life at sea and the academic rigor and challenges that go into planning and implementing sea experiments. Below are a few highlights from their sea expeditions. 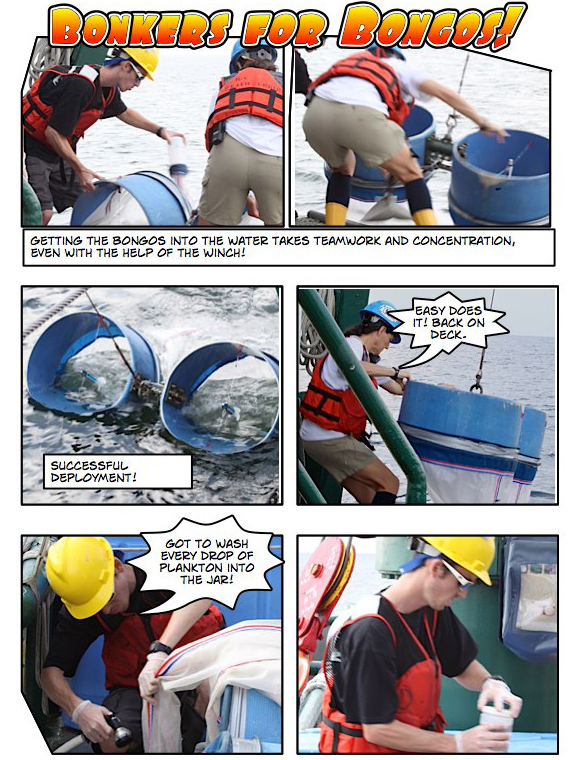 Read more at the C-IMAGE blog Adventures at Sea: Deep Sea Fish and Sediment Surveys in the Gulf. Some teachers expressed their enthusiasm through creative cartoon-style story-telling. Elizabeth McCormack created a skit filled with “characters” (real people on the vessel) and “action” (their at-sea research). Check out her Bonkers for Bongos blog! C-IMAGE conducts interdisciplinary science to understand Gulf marine ecosystems. 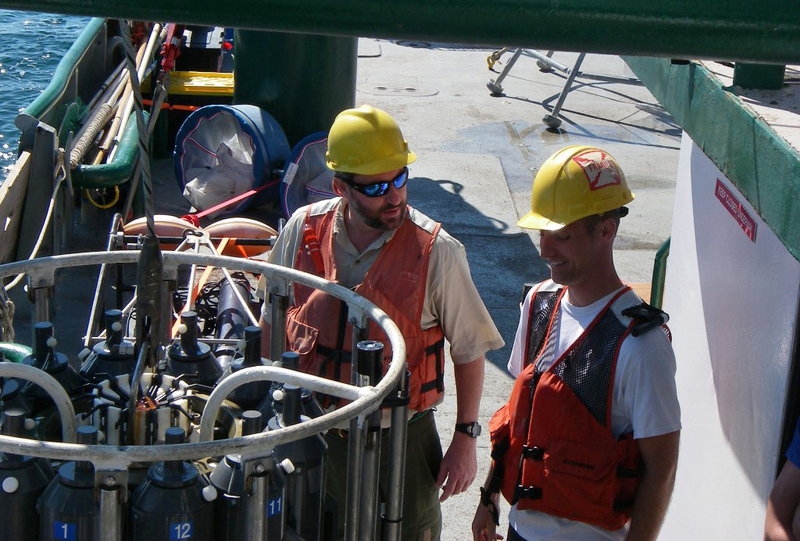 McCormack described how science, engineering, and technology came together with the SIPPER 4, “A scientist may know what they want to measure, but it may take the mechanical mind of an engineer to build the device that can collect that data.” Marine technicians got the equipment in and out of the water, completing a demonstration of collaborative efforts among specialists. 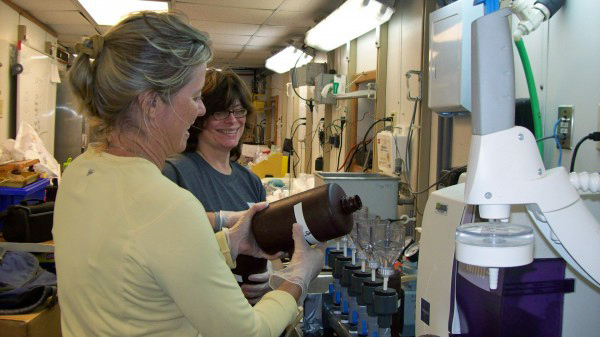 Teachers experienced the evolving nature of science discovery when a routine task – collecting bottles of seawater – took on greater importance, becoming as McCormack said “one of the most important missions on this cruise.” They found one sample from deep Gulf waters that looked and smelled different and determined that it contained much less salt than water from that depth does normally. For more information about the C-IMAGE Teacher at Sea Program, contact Dr. Teresa Greely. To learn more about the Florida Institute of Oceanography’s R/V Weatherbird II, take a virtual tour.